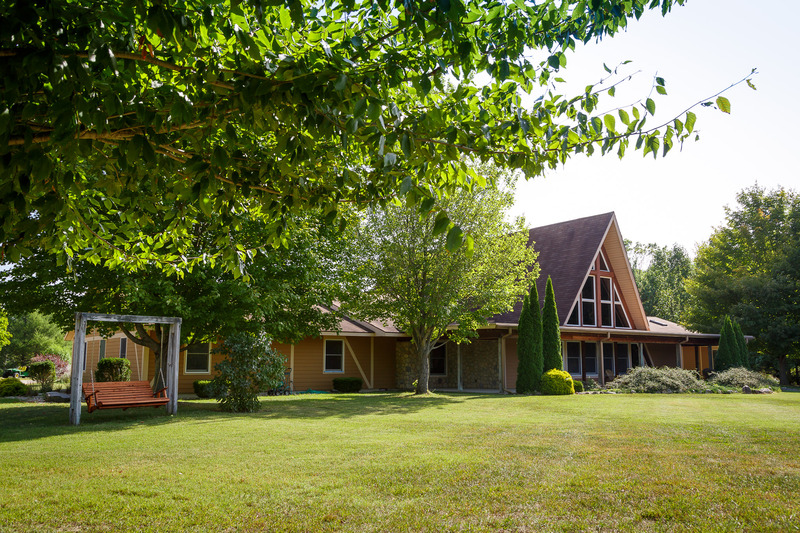 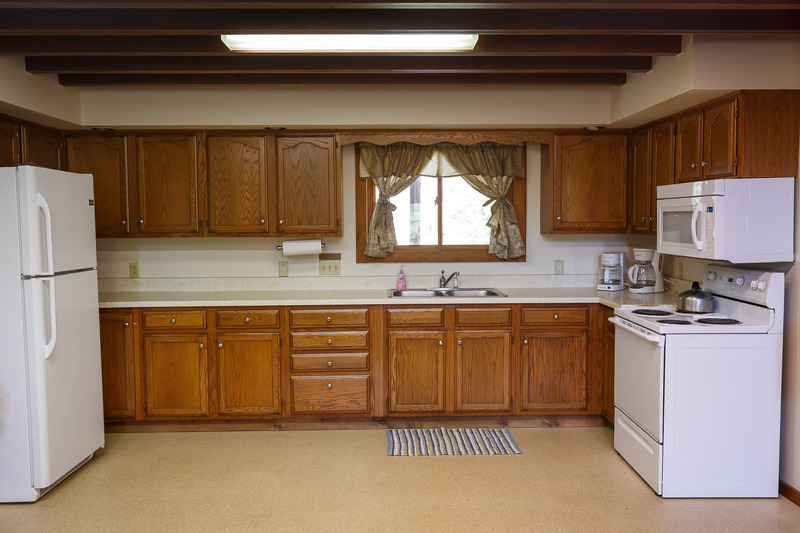 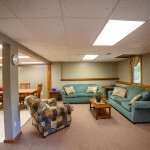 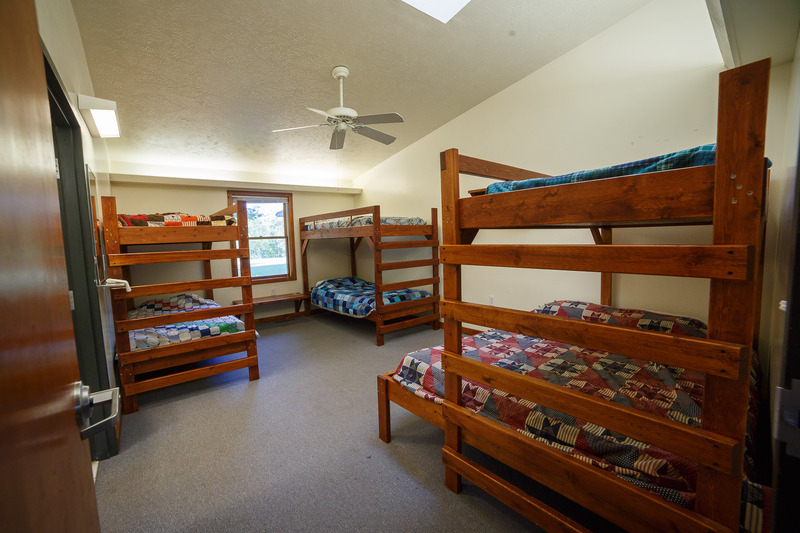 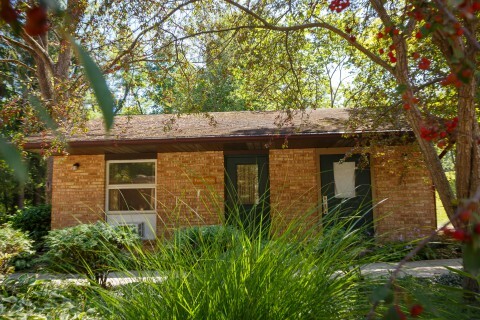 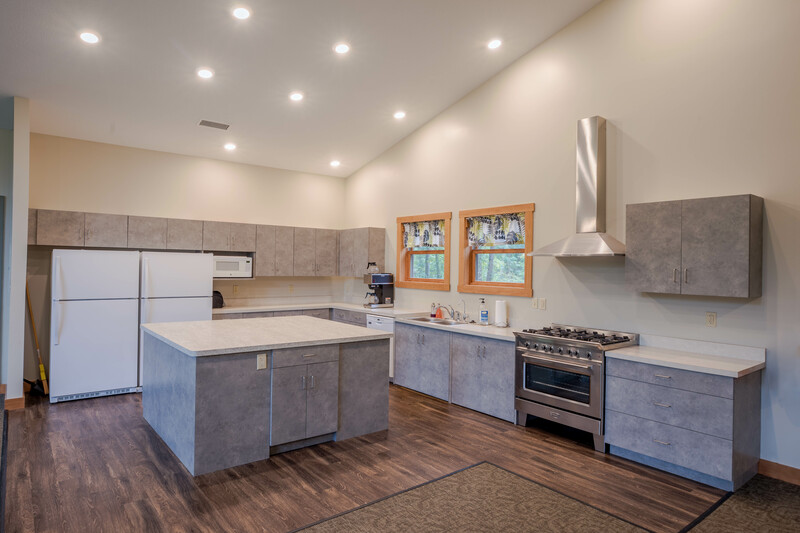 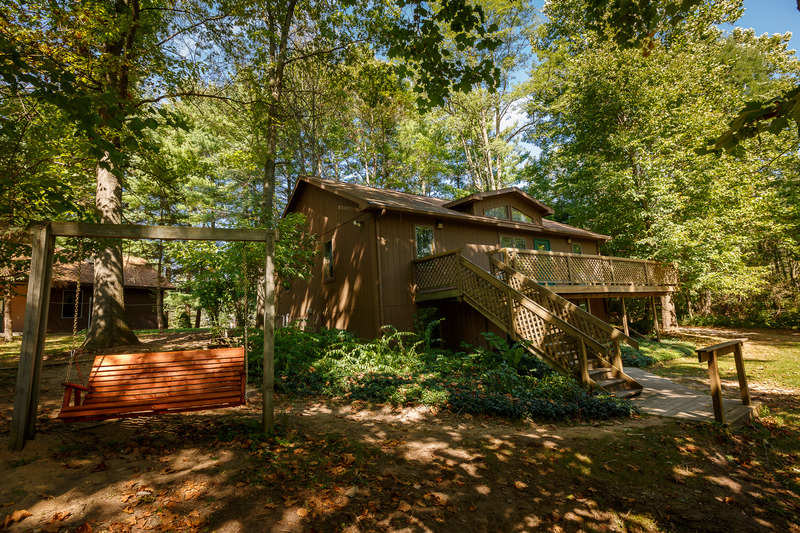 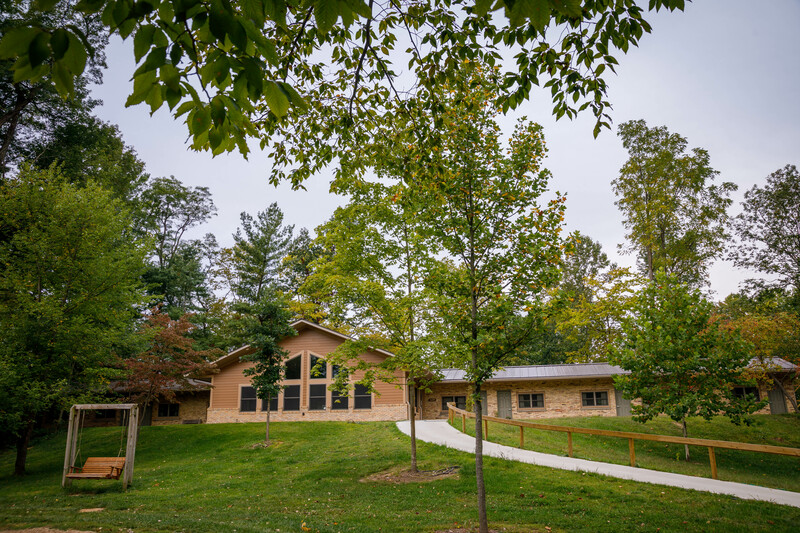 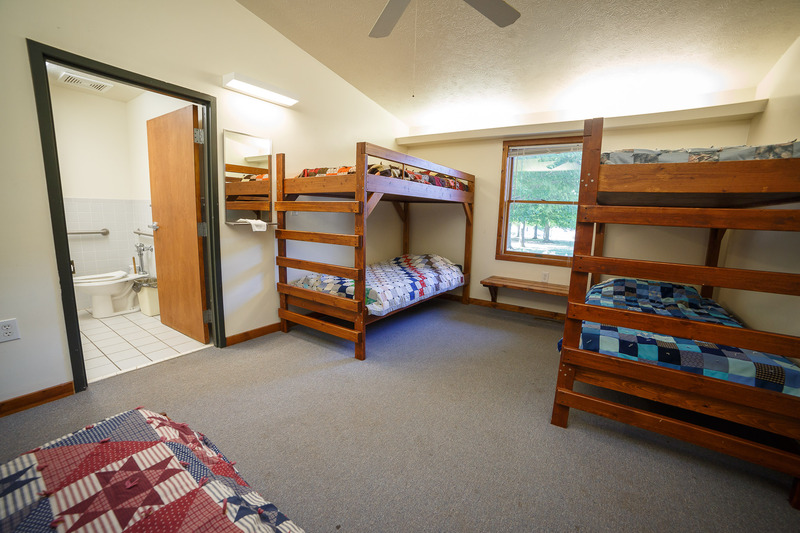 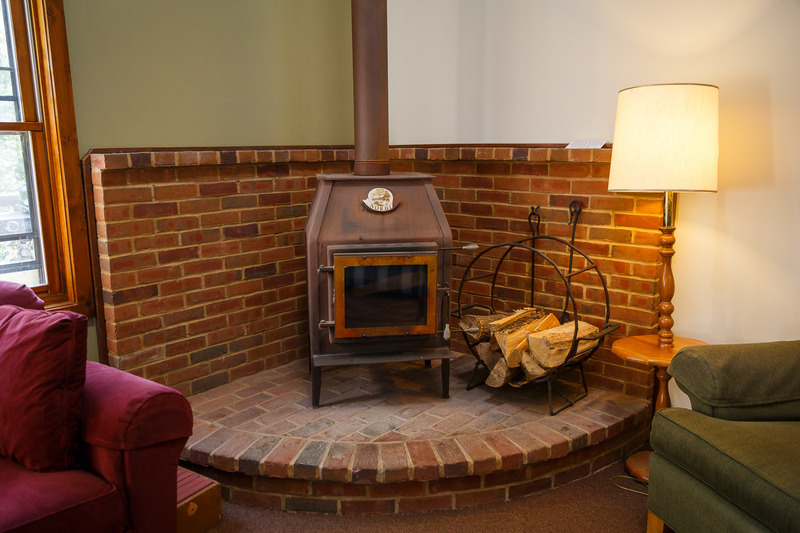 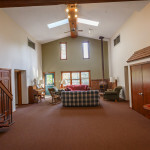 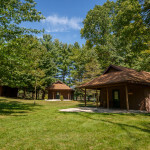 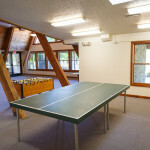 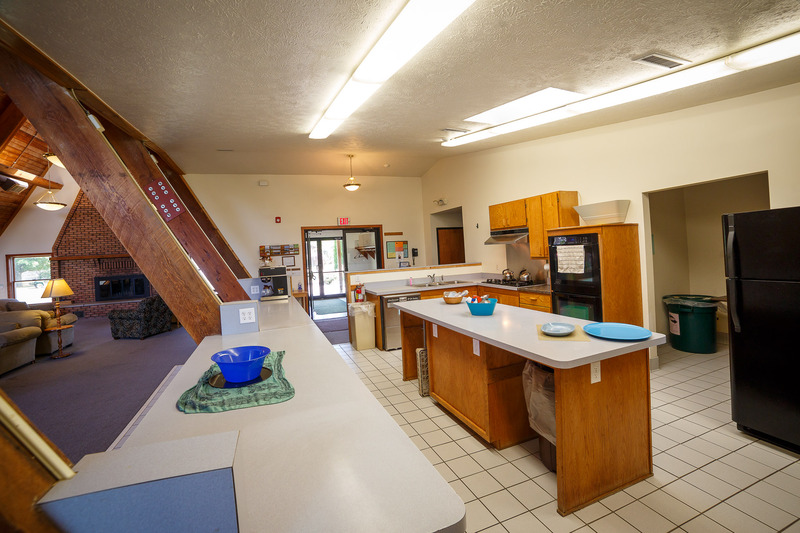 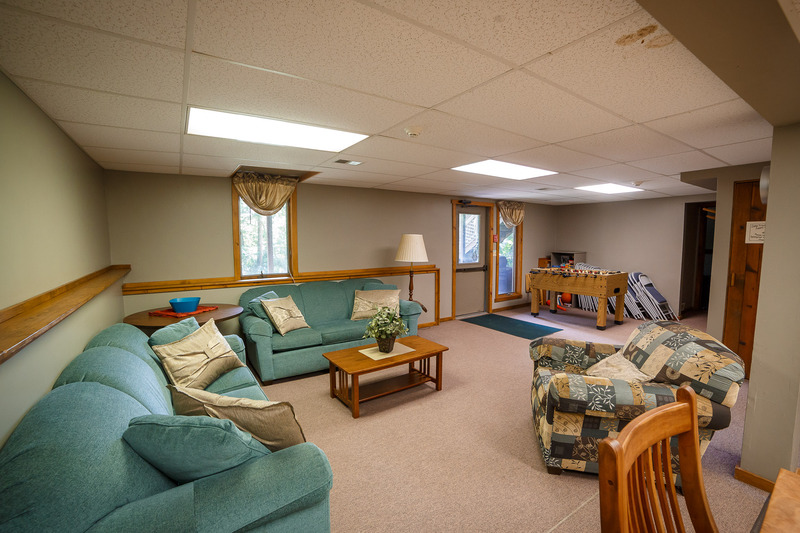 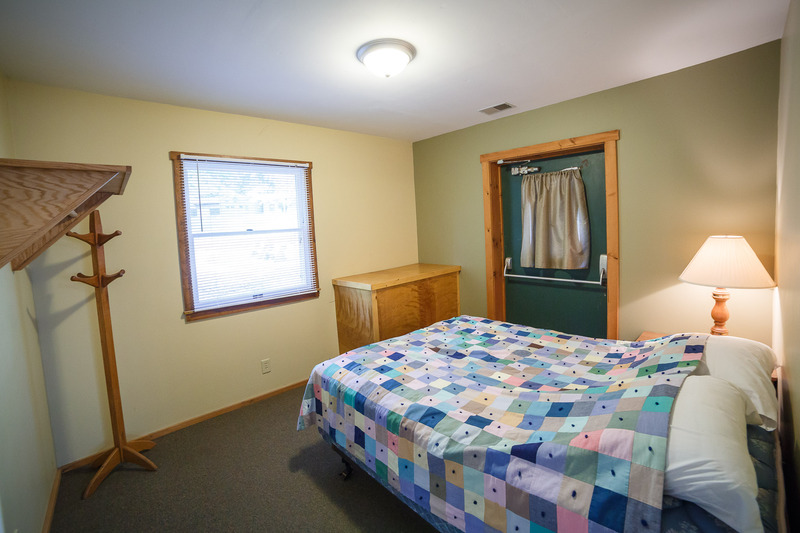 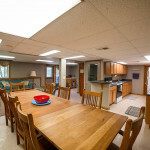 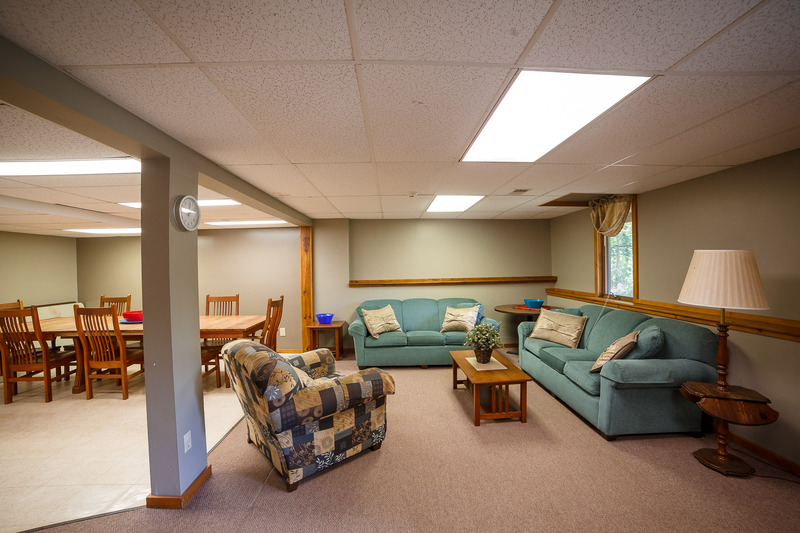 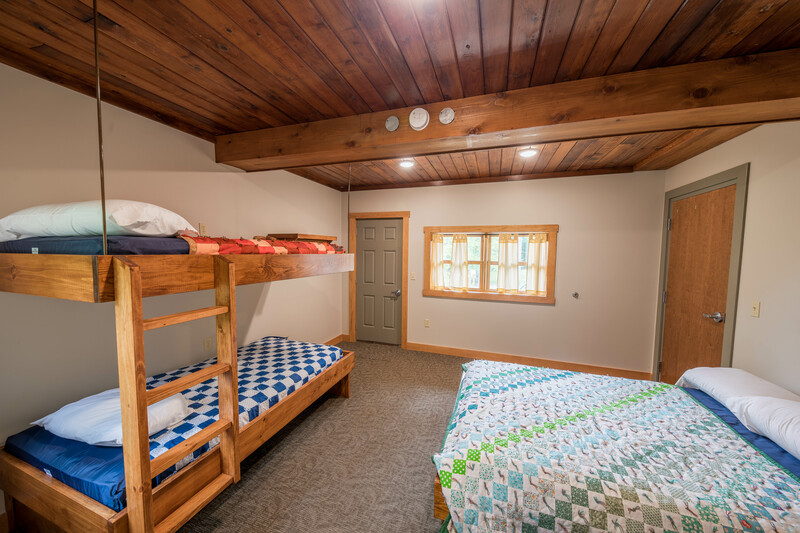 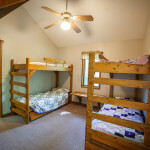 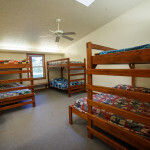 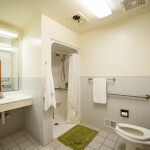 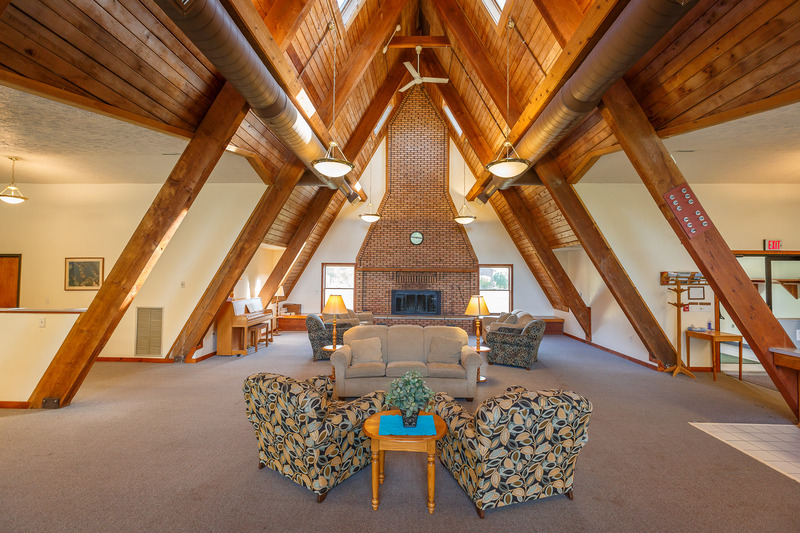 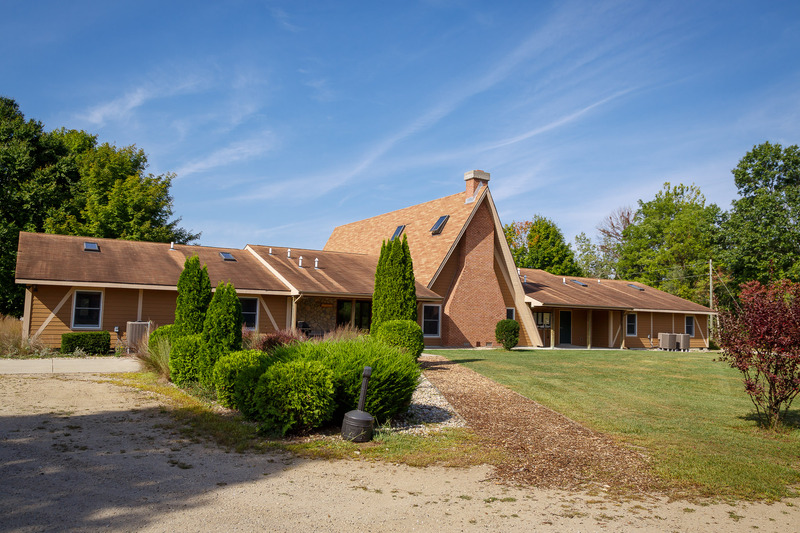 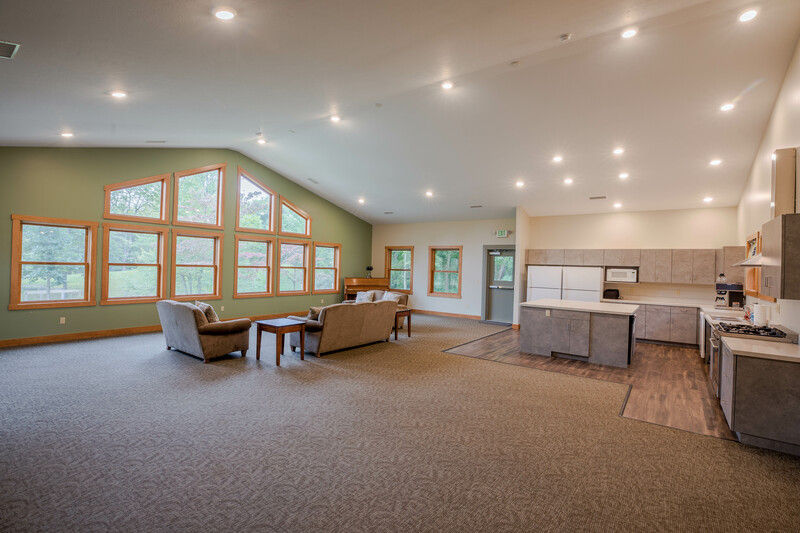 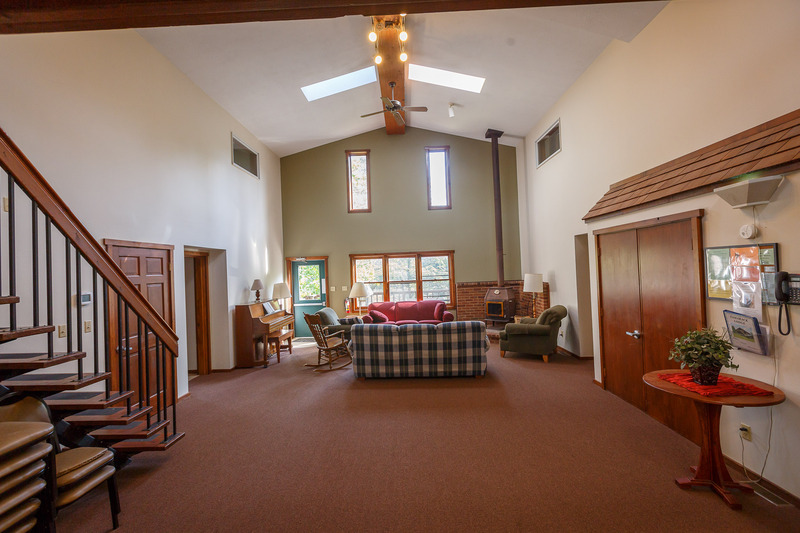 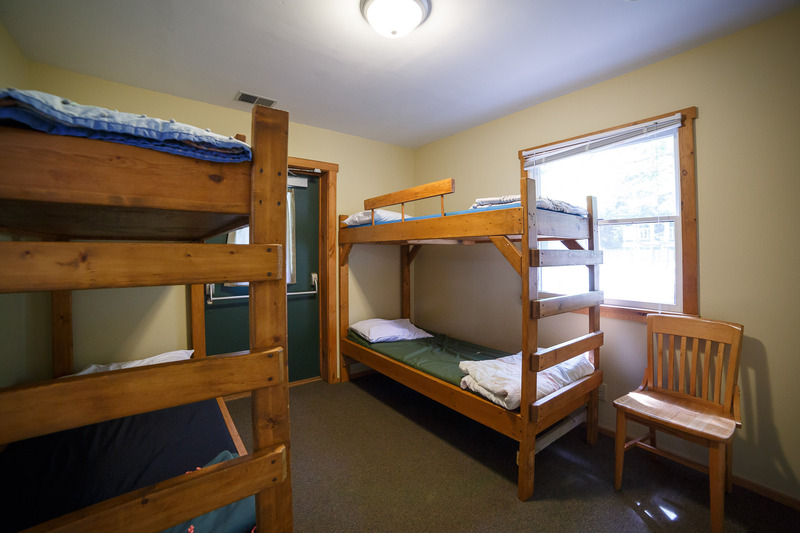 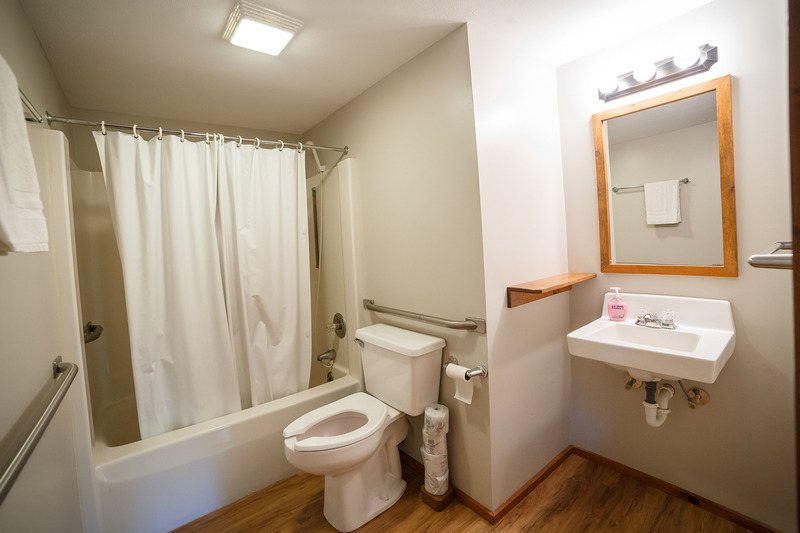 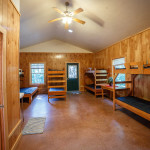 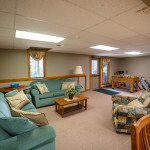 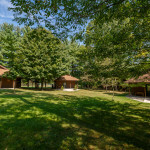 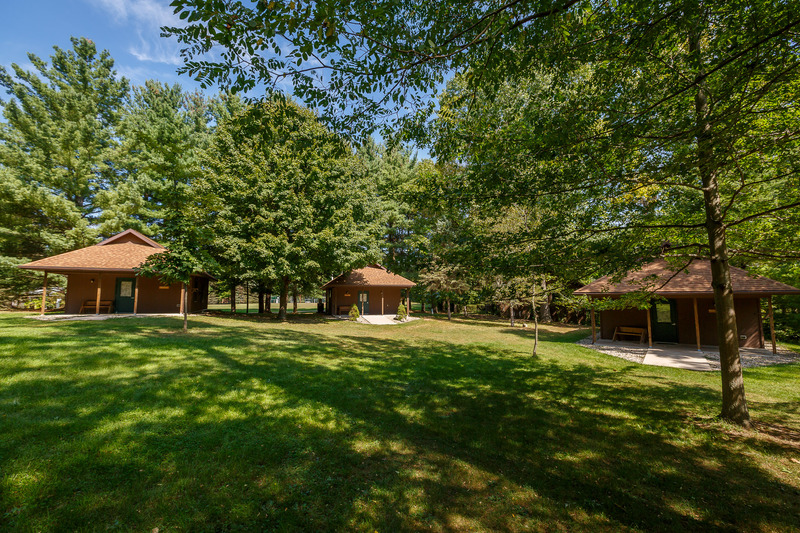 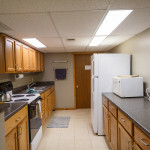 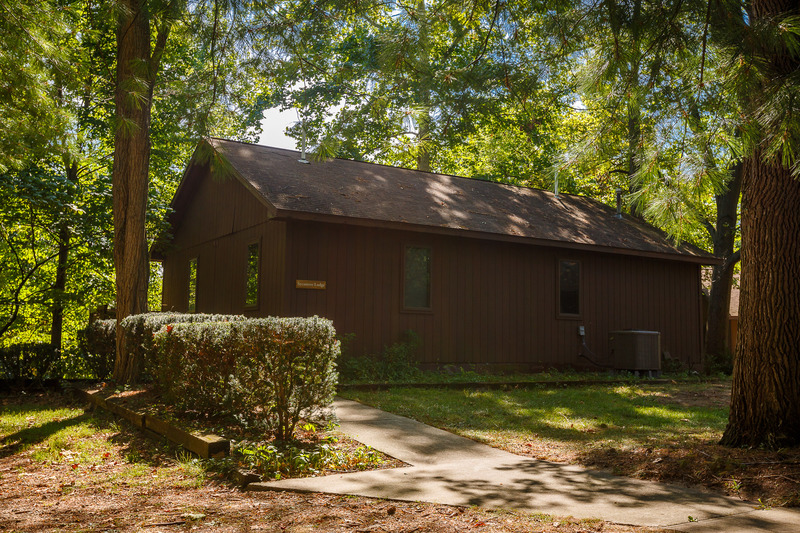 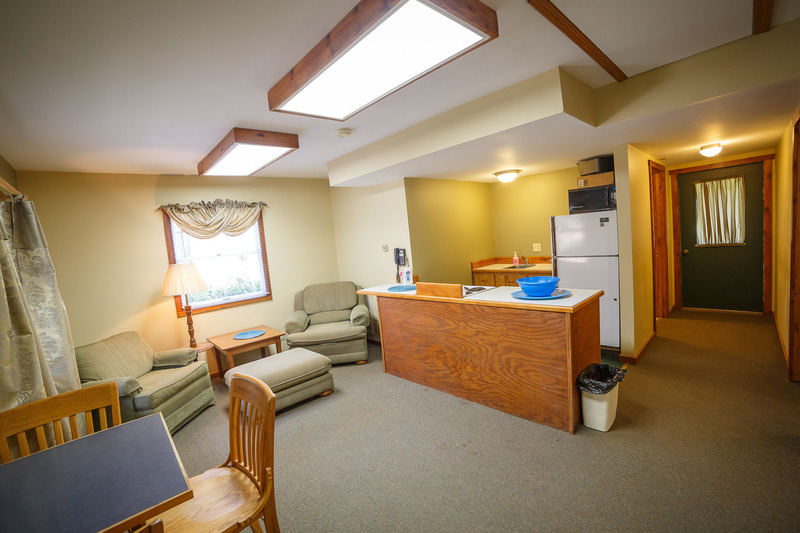 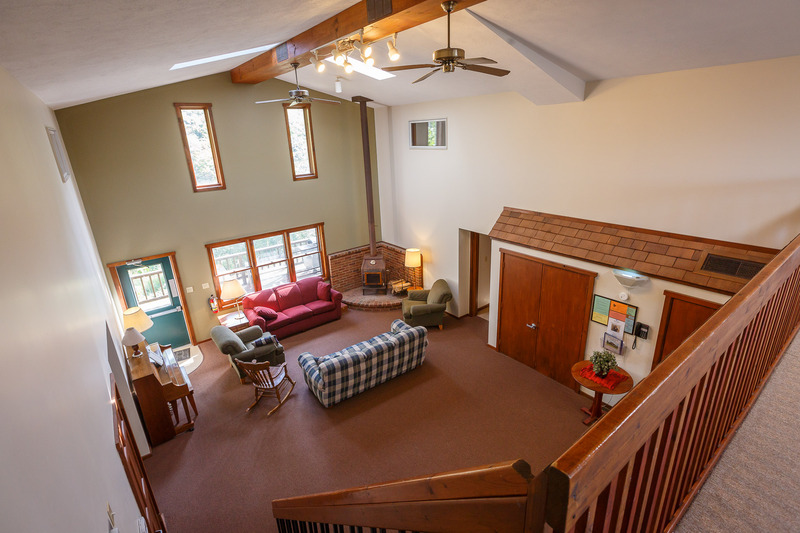 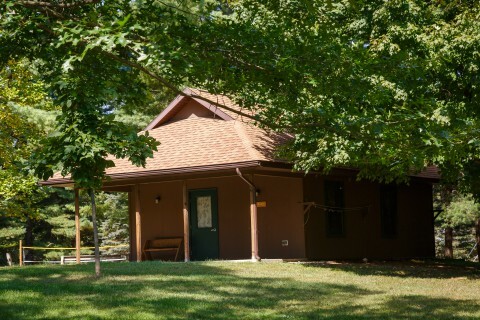 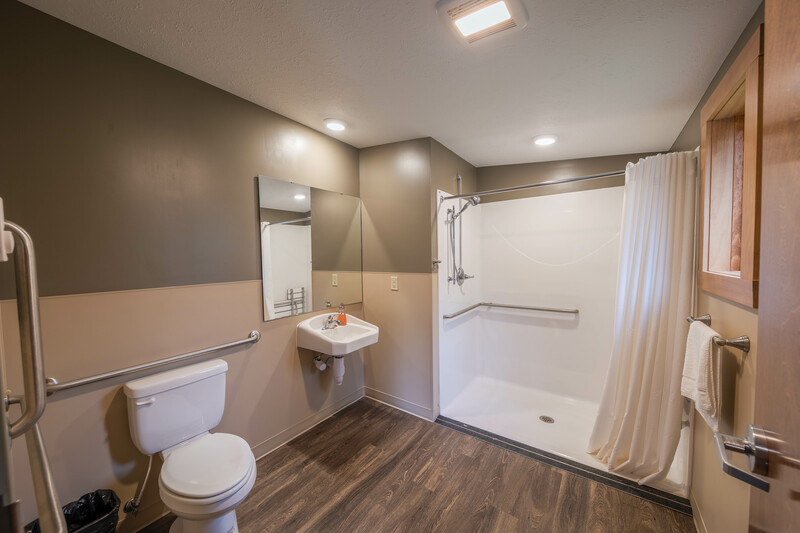 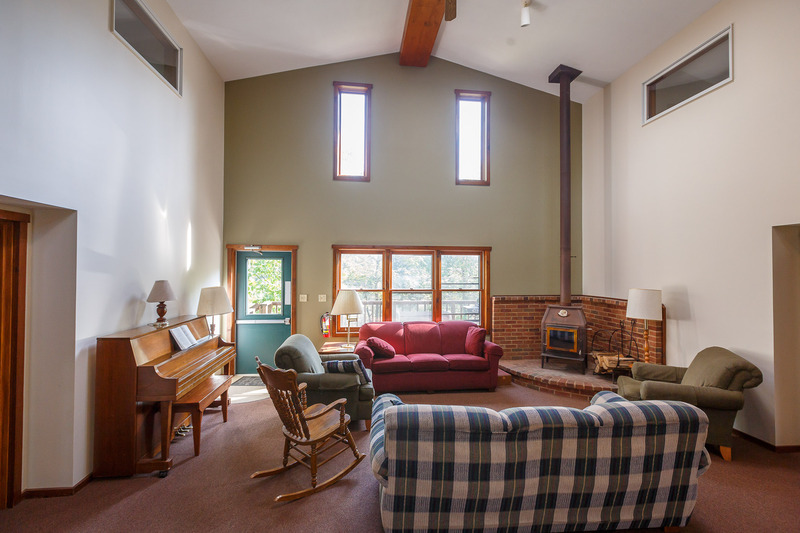 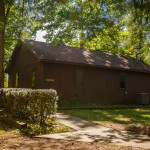 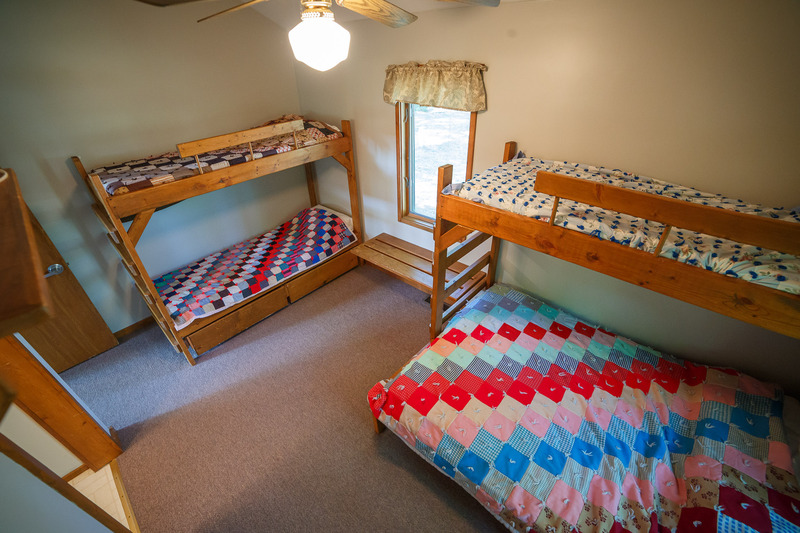 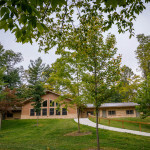 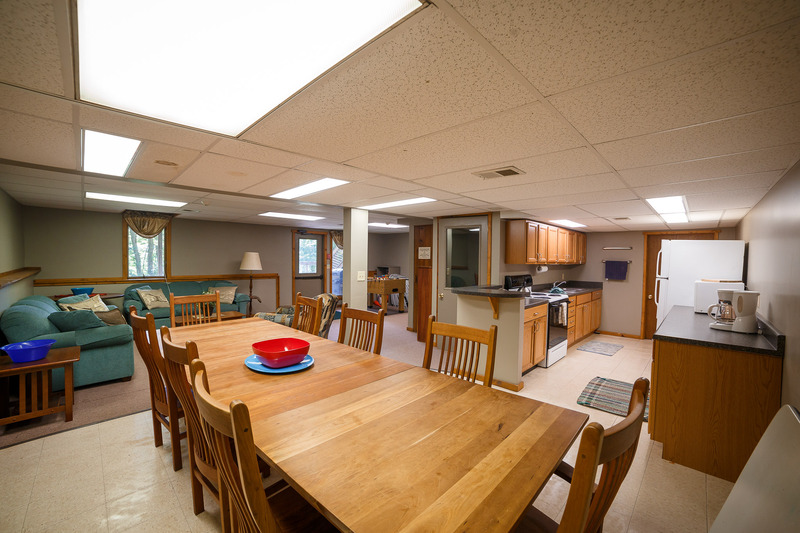 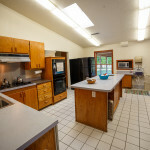 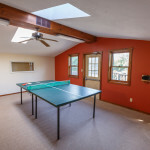 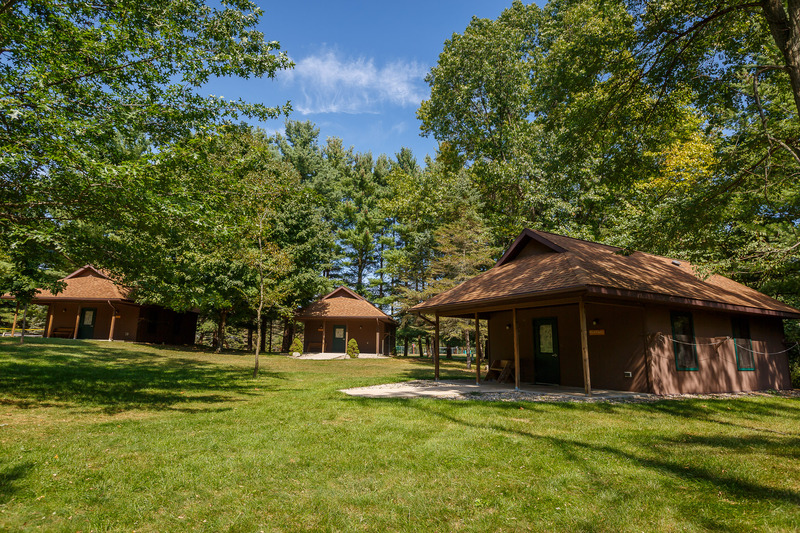 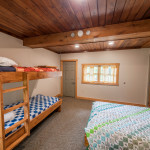 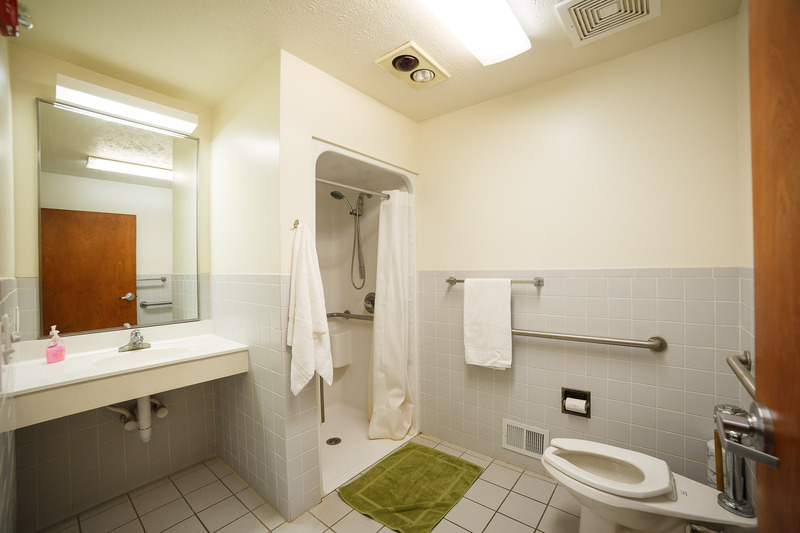 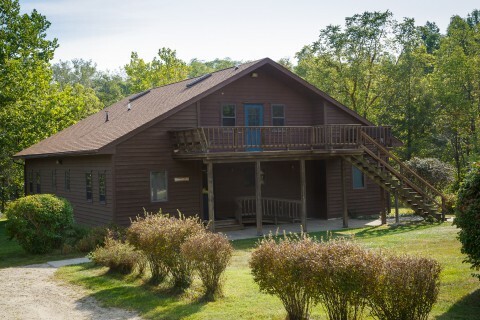 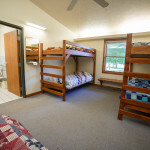 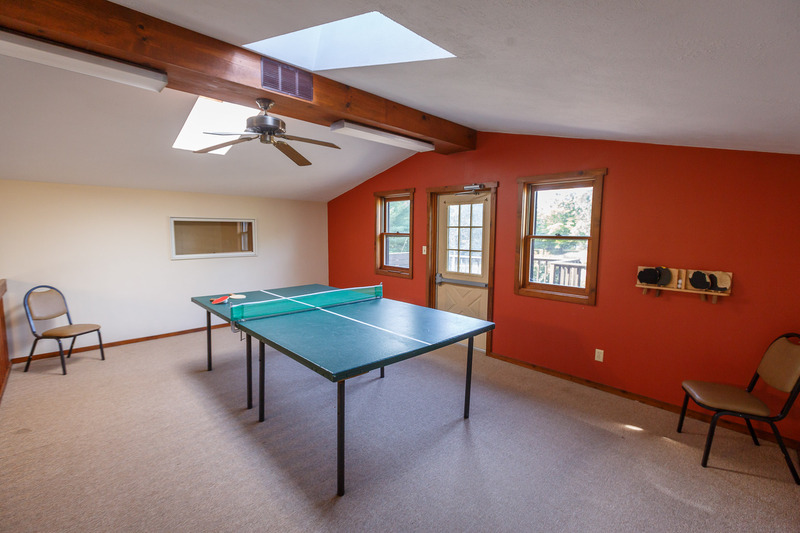 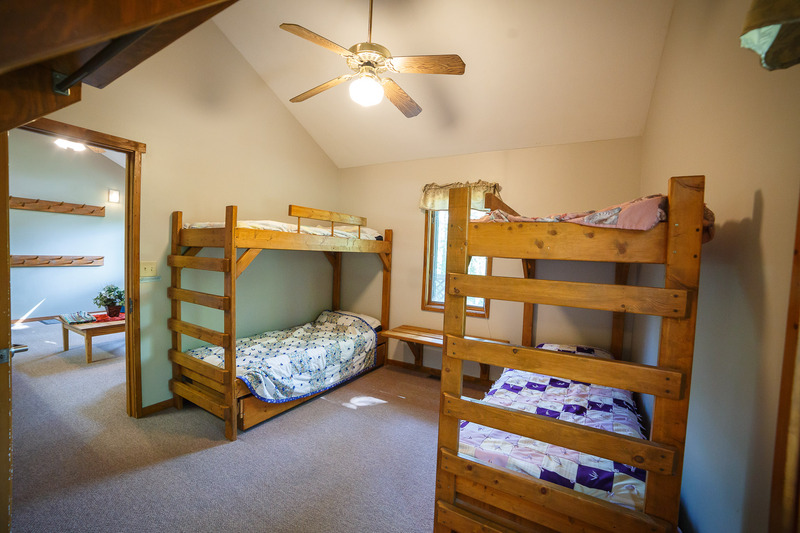 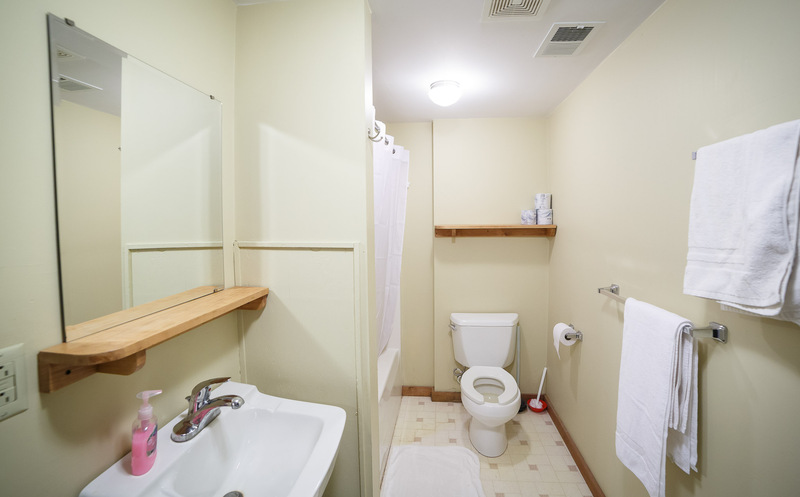 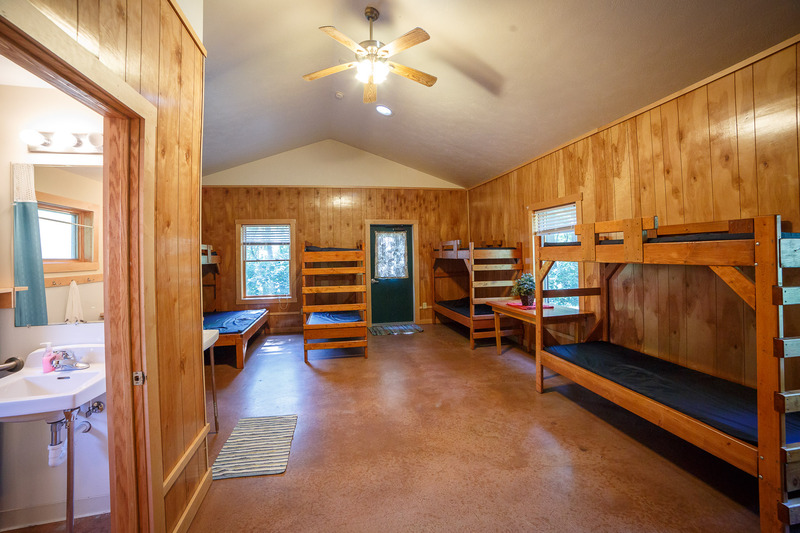 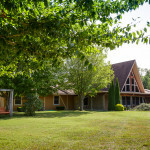 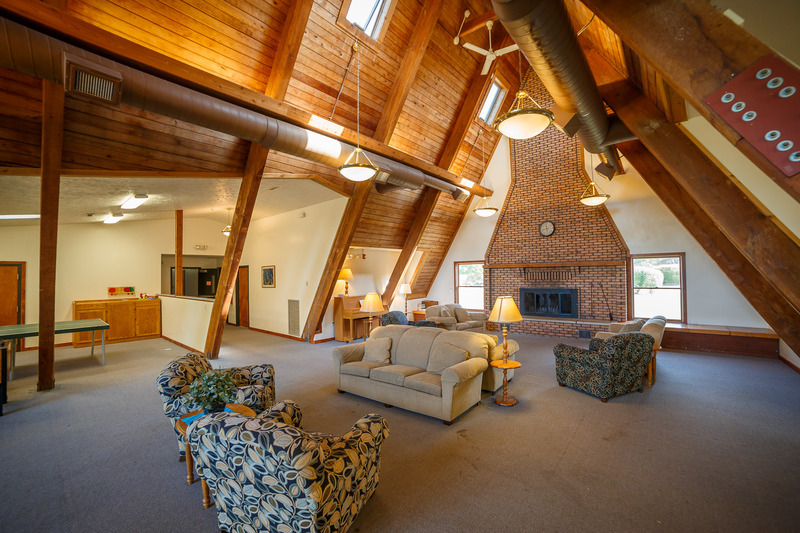 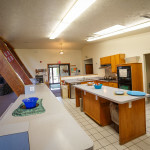 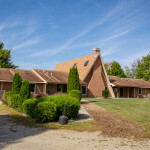 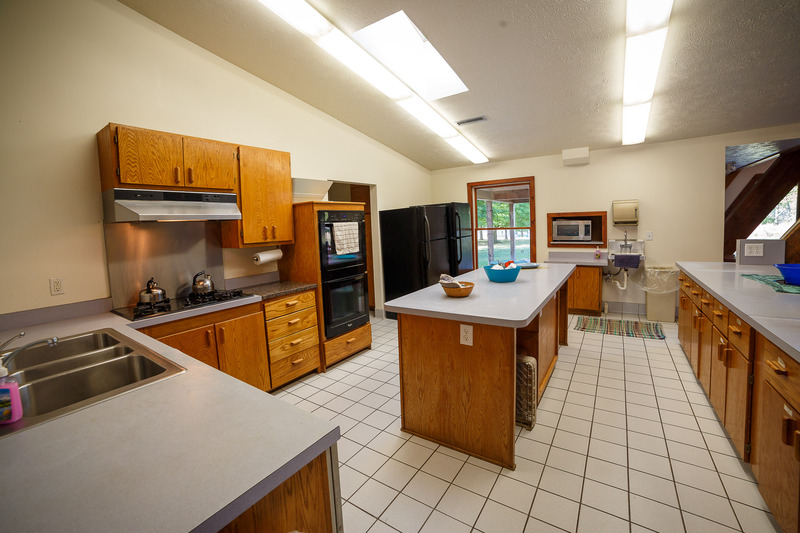 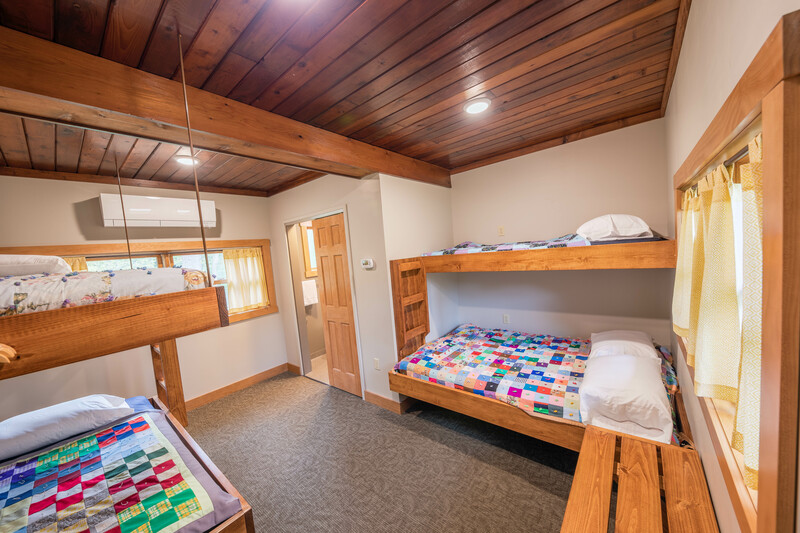 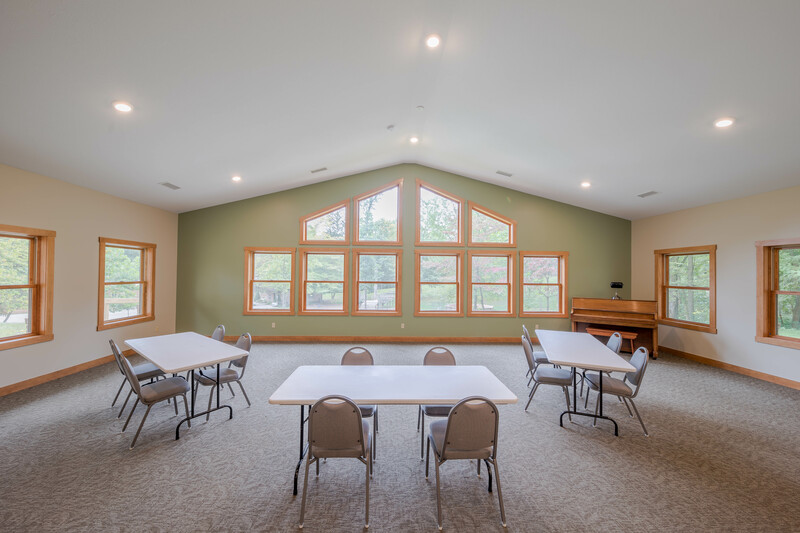 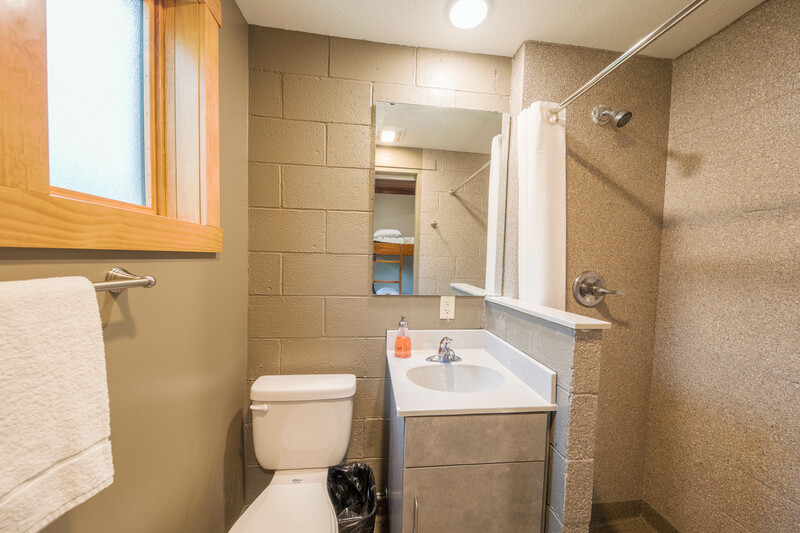 Camp Friedenswald’s lodging options can meet a variety of group sizes and group needs. 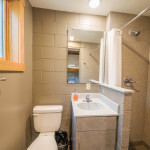 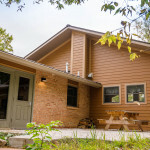 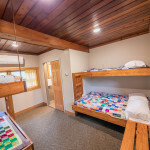 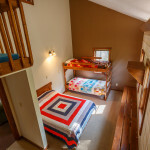 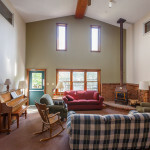 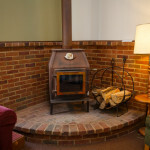 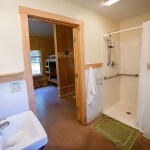 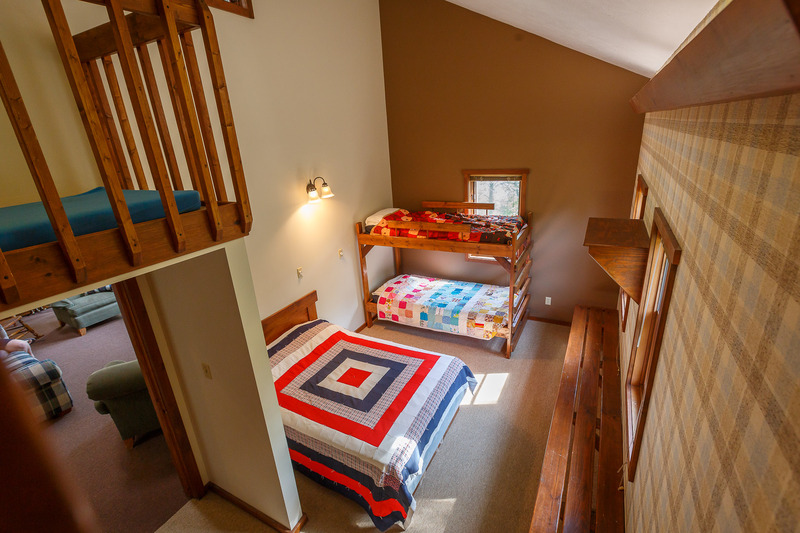 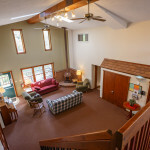 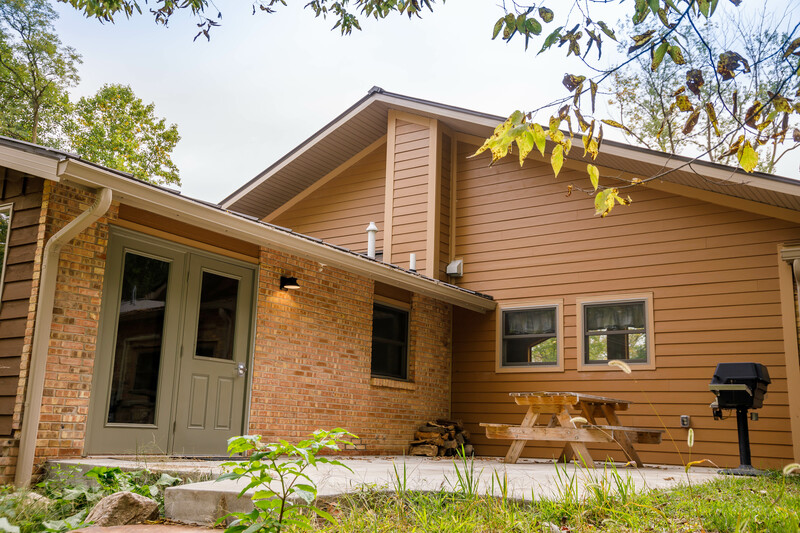 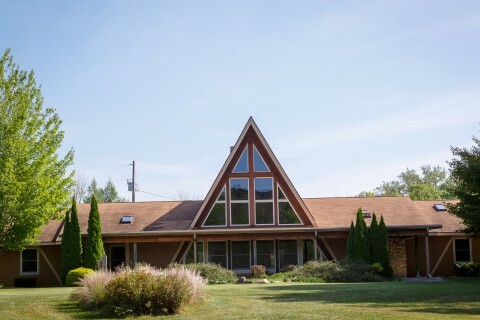 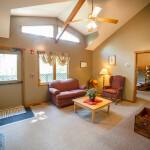 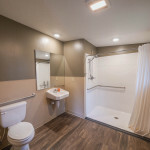 Our accommodations range from modern cabins to motel-style rooms and lodges. 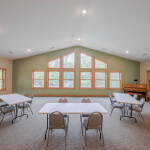 Meeting rooms and food service are also available. 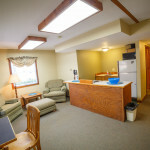 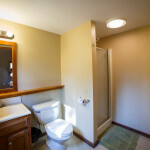 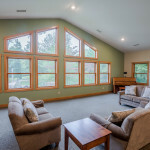 Contact us today at (269) 476-9744 so that we can match your needs with the best lodging option. 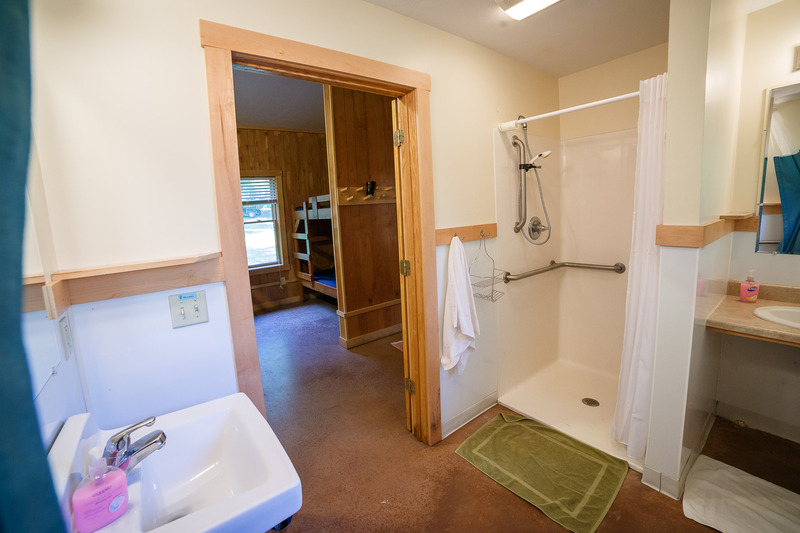 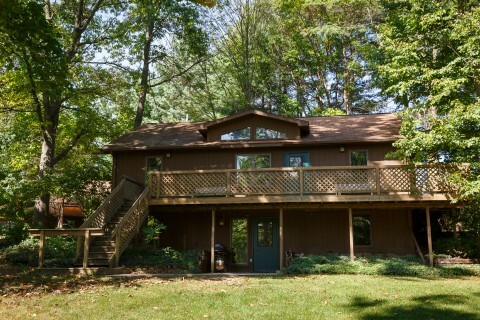 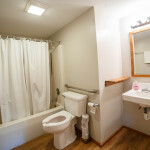 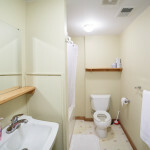 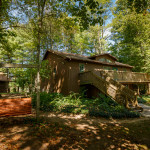 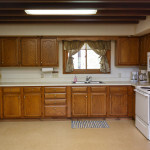 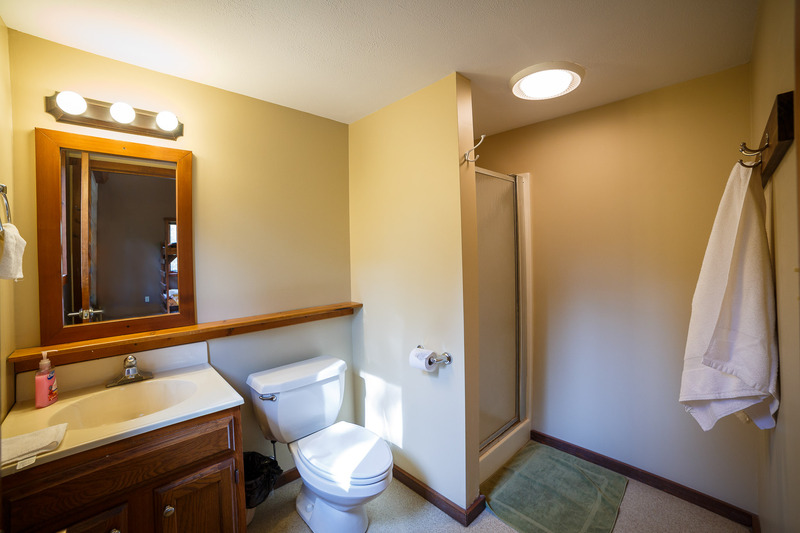 We have two clusters of six cabins, each has an interior bathroom and porch. 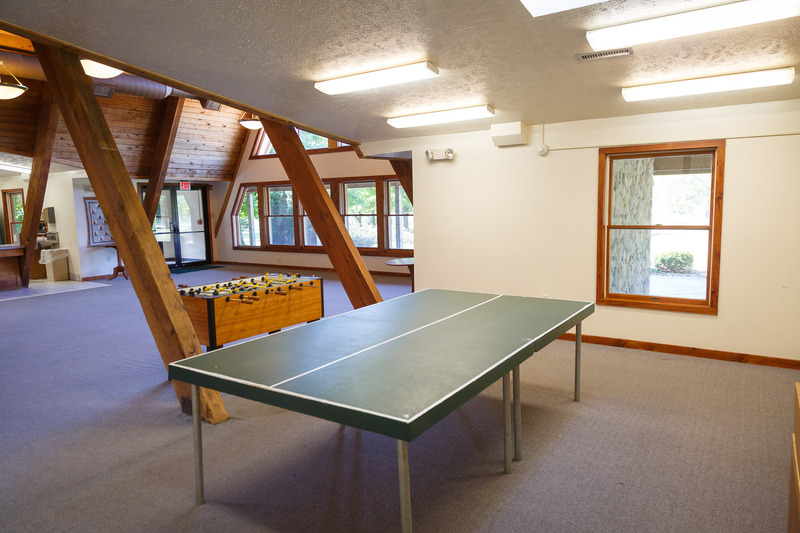 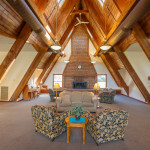 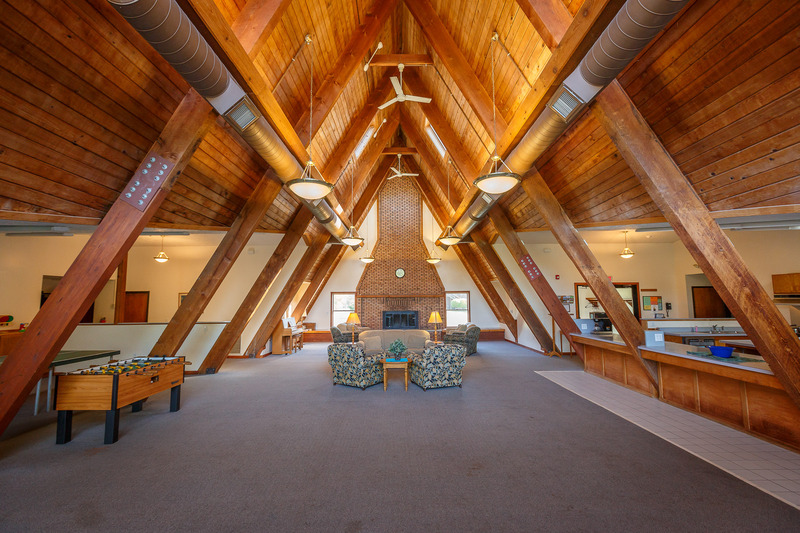 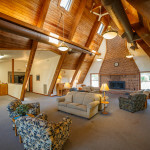 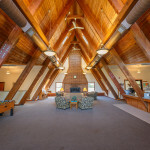 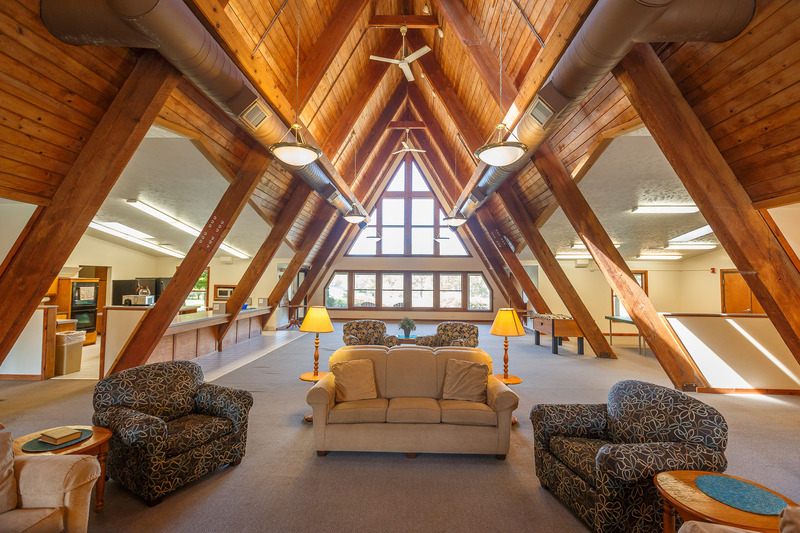 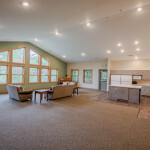 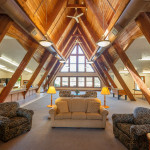 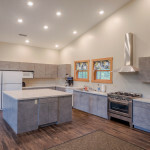 With campfire areas located nearby, and the Dining Hall in view, these are well-suited for many different types of groups – from large youth retreats to an individual family weekend get-away. 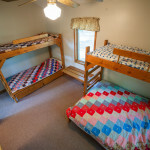 They can be rented individually, or as groupings. 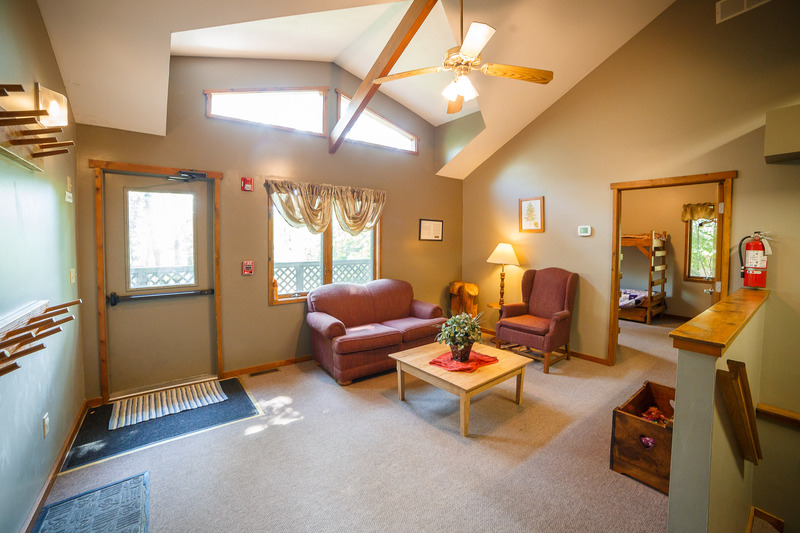 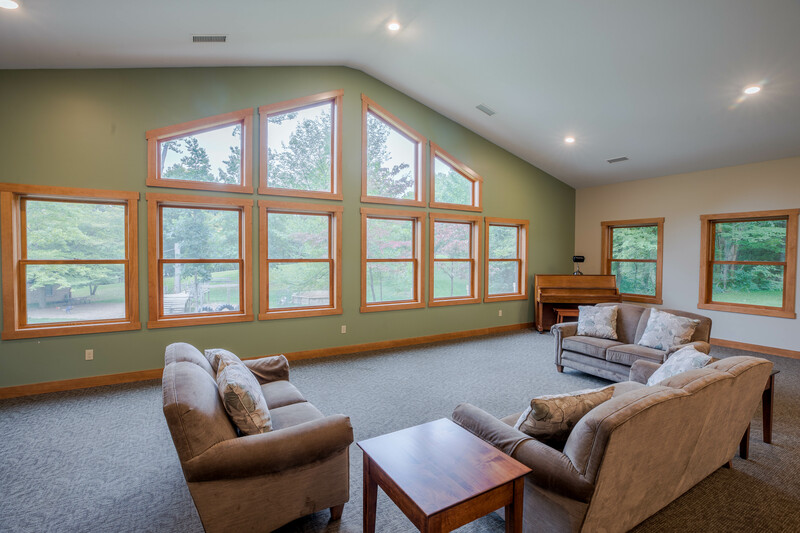 The Family Suite is perfect for an individual family retreat, with 2 bedrooms, a mini-kitchen and sitting area. 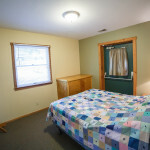 The Family Suite is not available in summer months. 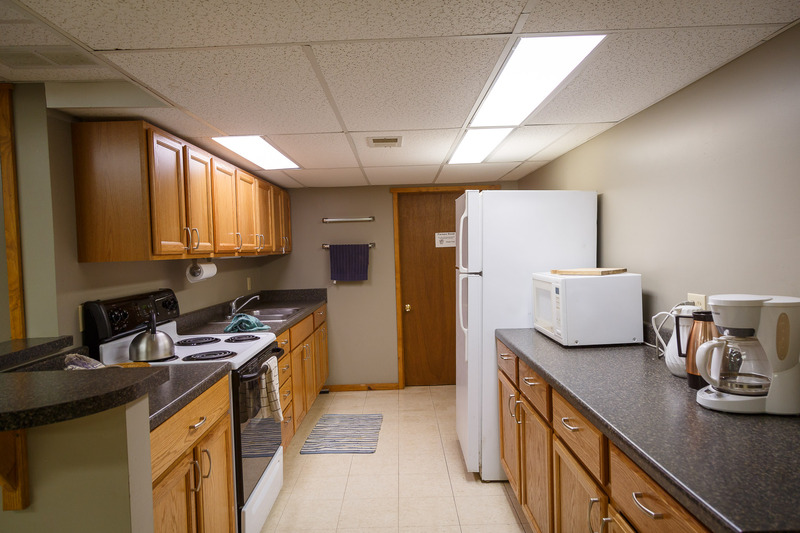 The kitchen is a mini-kitchen.